Everyone has been in a situation where someone offers them a breath mint or stick of gum: sometimes after a spicy meal, snack of chips, or long day at the office. But what about the instances where you realize that the gum and mints are being offered up more often than ever, and nothing you do is working? There are some cases of superficial bad breath where you need gum because what people around you are smelling is the smell of the food you have just eaten. But for some, the underlying bacteria that is causing this just won’t go away. Even when they brush their teeth or use mouthwash, it either doesn’t work at all, or just works for a few short hours. The condition is known as halitosis, and can affect up to 50 percent of the population. There are some instances where friends and family will confess to the person that they are incredibly offensive, and some where they will not. Either way, it can be every embarrassing for the offender, and can absolutely lead to anxiety, fear, and even depression. 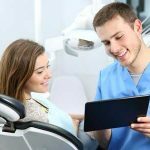 When people generally like you but, don’t like one thing about you, sometimes they may begin to shy away, if you’re in this situation save yourself a trip to the emergency dental clinic by reading about these preventative measures! What really is a main cause of bad breath is bacteria and microbes: the odor-inducing microbes that are on your tongue, and in between your teeth and gums. Brushing your teeth is a great way to freshen up in the morning and after meals, but the true problem with those who have halitosis is that brushing, gum and mouthwash just temporarily cover up the problem. Around 12 percent of the population has gum disease, which eventually will lead to periodontitis. 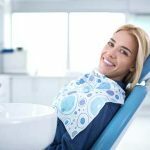 The teeth literally become inflamed, and this bacteria can cause a strong odor from the mouth, no matter how many precautions and “cover-up” methods are used. One of the problems leading up to this condition is when the patient already has large spaces in between their teeth: when food gets stuck here, it is this bacteria that is truly producing extreme bad breath. If you are eating foods heavy in onions and garlic, that stick of gum may cover the odor up, but the food has to pass all the way through your system (and even out of your pores) to provide the sense of normalcy again in the mouth. Oil pulling is the process of using plant oils to rinse your mouth free of bacteria that can lead to tooth decay and bad breath. 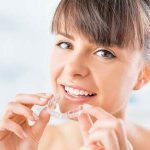 It’s a highly popular new alternative method of whitening the teeth and enhancing oral health overall. 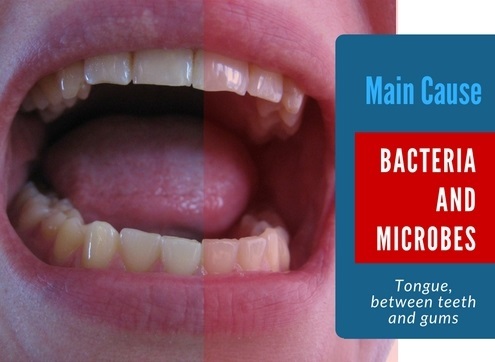 It helps reduce bad breath by straining the bacteria on your tongue and in your mouth. There are a variety of traditional oils used in this process, from sesame to sunflower as well as coconut oil. The study above shows that when comparing oil pulling with sesame oil vs a chlorhexidine mouthwash, they were both “effective” at reducing halitosis (bad breath). If you’re looking for an alternative solution for bad breath because harsh dental chemicals do not interest you then oil pulling is the way to go. Even though dry mouth is a bit different from actual bad breath, having enough saliva is one thing that can contribute to a positive environment where better breath cultivates. Many drugs such as antidepressants and aspirins along with sleep aids are linked to dry mouth, and can increase the chance of bad breath as well as cavities. If you are taking medications such as this and you are also apt to snore, you really may be at risk. Snoring can lead to bad breath because it and other forms of apnea deplete the mouth of saliva as well. Drinking alcohol can be an incredibly huge contributor to a bad breath problem: it dries out the mouth almost more than anything, and tannins as well as sulfide in wine can contribute to odors emitting from your mouth. Smoking does not just bring about bad breath after every cigarette, it can contribute to some of the worst cases of halitosis. 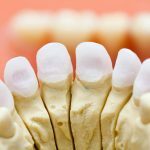 Everything from the tar and other additives to simply sucking through the filters contributes to the problem, and when combined with heavy drinking of alcohol, can lead to serious problems such as oral cancer. Much research about processed food has come to light lately, and sugars and grains can disrupt the balance of positive microflora by allowing bad bacteria, fungi, and yeast to multiply in high numbers. When you have a poor balance of bacteria in your gut, the proper breakdown of toxins is not achieved, and bad breath can suddenly occur. Soda and fruit juice can also be additives in the mix that may contribute to bad breath, as well as antibiotics. If you are worried about keeping your breath fresh, antibiotics should only be used when necessary, because they too destroy some of the organisms in your gut that keep a healthy balance. Some water companies in different regions add chlorine to the water, and having a reliable filter can help cut down on this additive that can contribute to bad breath. Foods like avocados and coconut oil are very positive warriors in the battle for better breath, as well as yogurt, to neutralize your mouth’s acidity, you can brush your tongue as well as your teeth, and dissolve a small amount of baking soda in water and swish it in your mouth as a cleansing rinse.